The verdict: “C is for cookie that’s good enough for me.” Anyone who has a Sesame Street fan in their family has probably sat through that song sung by a certain blue puppet notorious for eating pretty much everything, but must notably cookies. In my household we have come to the conclusion that pizza and chocolate chip cookies are tough things to ruin. Even when both of those are bad, they are still kinda good. This is your typical cookie on a much larger scale. In fact, a quick glance at this will make you realize there are 10 servings in this on pan. Now, I think they did that for another reason. How else do you convince people to buy a dessert that is an entire days worth of calories? And that’s before the suggestion of vanilla ice cream. This isn’t the first time I’ve come across a super high calorie dessert. In fact, when I tried the Sumatra Brownies those were something like 300 calories for each. If you are dieting, then odds are you left this right where you found it: in the freezer section. If you are like me an enjoy a dessert here and there or perhaps you are about to tune into the latest episode of This is Us, then perhaps you will find this cookie quite comforting. Most chocolate chip cookies are comforting. There are many stages of chocolate chip cookie comforting. If you’ve ever made chocolate chip cookies at home then you are aware of the three stages of cookie glory: cookie dough, warm out of the oven cookies, and cooled cookies. This product fits into the second and third categories of cookie magic. I heated mine in the oven and yes, it was just like eating a cookie out of the oven. It’s soft, the chocolate is melted, the melted butter coats your palate in the best way possible. These are basically fully cooked so there is raw cookie dough here. All the heating is doing is warming things up. 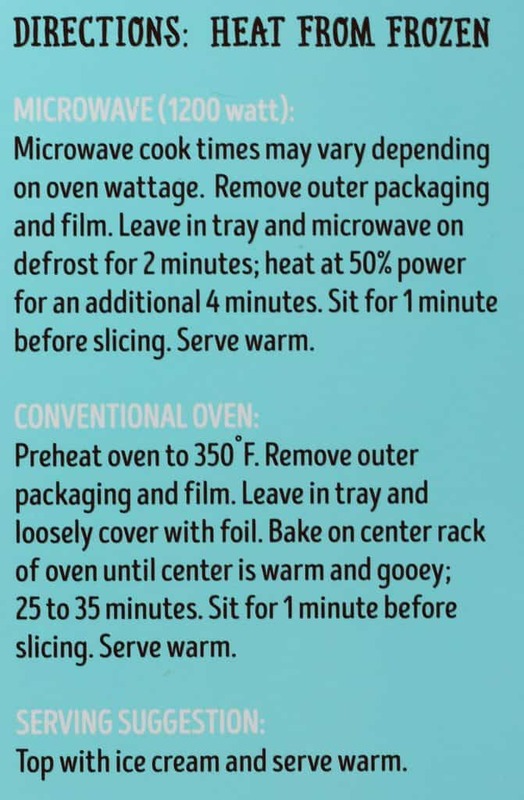 If you are afraid to heat the whole thing due to the likely case of over consumption then feel free to slice and then warm. Or warm the whole thing and enjoy the left overs. When the rest of this cookie cooled I can either give it a quick reheat or eat straight from the pan. 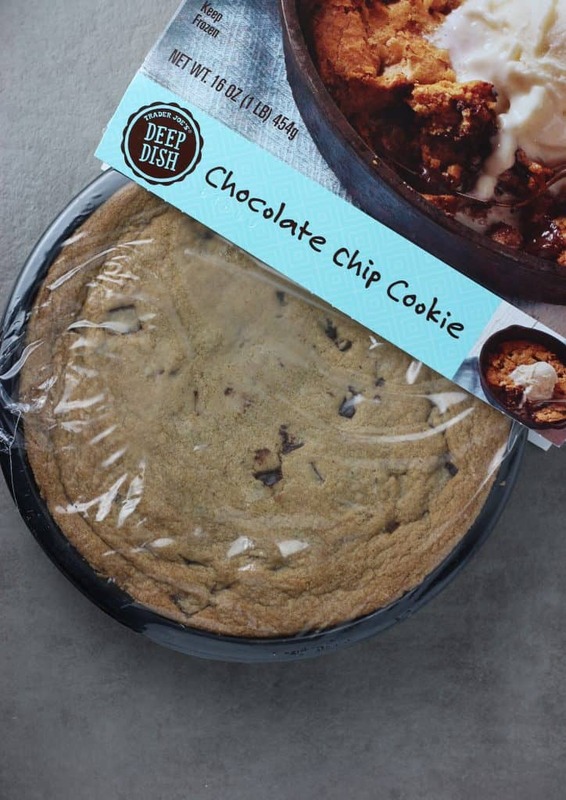 In either case you can’t go wrong with a chocolate chip cookie. Would I buy this again? 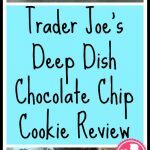 Trader Joe’s Deep Dish Chocolate Chip Cookie holds a unique place in my heart, thighs, and arteries. I liked it. This is something I would eat on an emotional day. Like I said previously, it’s hard to go wrong with chocolate chip cookies. This would make amazing birthday dessert. 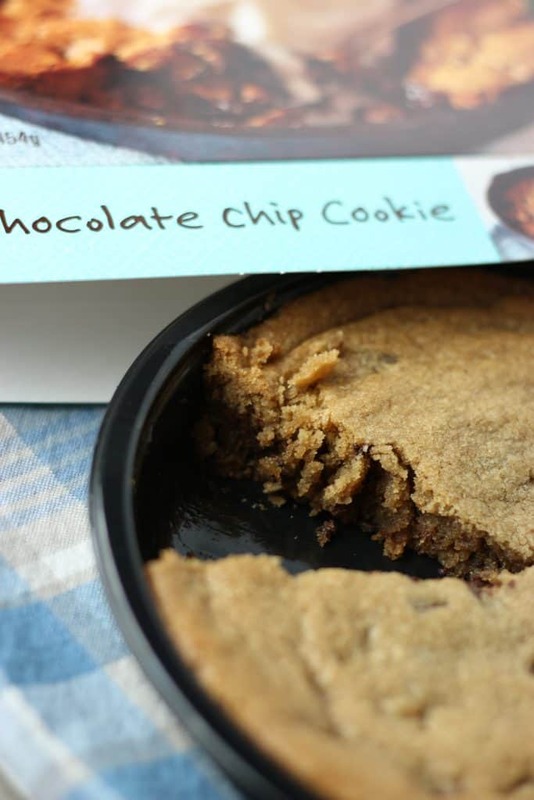 So many different possibilities to top it off maybe warm cookie butter in it. Whipped cream. OMG, cookie butter slightly melted. That sounds so amazing! I have to try this! I’m glad you liked it, and calories-be-damned, I am getting it next weekend. Even though I’m not into a lot of sugary sweets there are few things better then a warm gooey gooey chocolate chip cookie. I can imagine this is up there with their Sumatra infused rich chocolate brownies. I wonder if you could break off pieces of it and bake it in small amounts to avoid taking a spoon to the whole shebang in one sitting lol. On the birthday theme why not bake 2, spread some chocolate mousse in the middle and then top it all off with chocolate ganache. Throw some candles on it…viola! 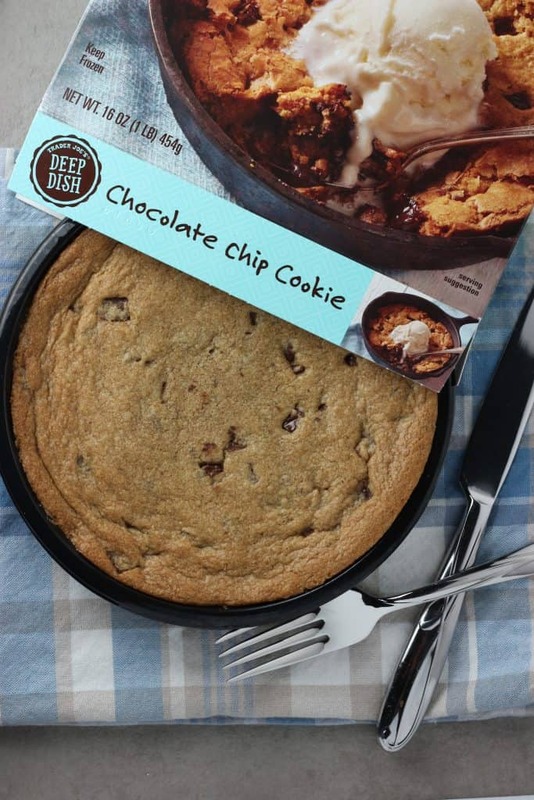 This looks so good and with ice-cream…I can taste it already! Have you ever been to BJ’s Brewhouse? 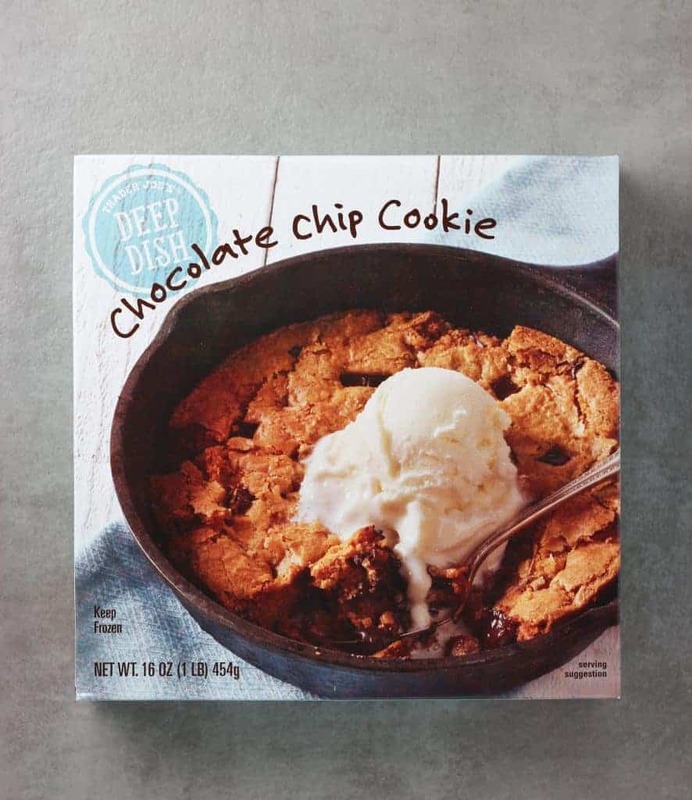 They have something just like this, called a pizookie, which is a ginormous warm cookie topped with ice cream that comes in a variety of different flavors! It’s super good although I haven’t tried this one yet.